There’s nothing like the restrained elegance and visual impact of granite. That’s why granite pavers are the perfect option for your landscaping project. We’ve been laying granite paving for over 20-years, we love it for its durability and versatility, and our customer’s love it because it looks incredible and is low maintenance. It’s also non-slip which makes it perfect for pool surrounds, as well as garden paths and walkways. We’ve seen the difference granite paving can make for a back or front yard, so lift the entire appearance of your home with our granite paving service. The best part about enlisting our services is that we take care of everything. We visit your home to help you design the project, we procure the materials, we prepare the surface and lay the pavers, and we clean everything up. It just takes one call, and before you know it, you’ll be enjoying your new hardscaped space. Why Choose Everlast Services for All Your Granite Paving Needs? We’ve been a leading Melbourne paver for over 20-years. We can work with all types of properties, and we know what works. 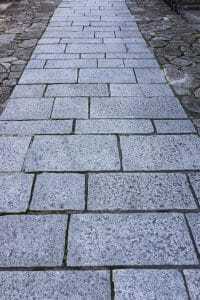 We’ll listen to your vision and add our own expertise so you end up with a granite paving service that will be an investment in your property. As a family-owned company, we’re proud of our reputation and success. We’ve built both on the back of an unswerving commitment to quality and a focus on customer care. We deliver on everything we promise, and we don’t leave your property until you’re 100% satisfied with the outcome. We also make sure you stay in charge of the process by maintaining an open line of communication from the first phone call to the end of the project. We love the local community, and we want to give back to the local economy. To do this, we source all of our granite from local suppliers. Over the years, our loyalty has meant we’re rewarded with discounts on high-quality granite. We always include these discounts in your quote as a way of making our services affordable, and available to everyone that wants them.